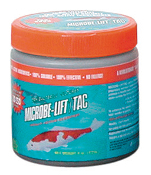 Microbe-lift/TAC (Totally Active Clarifiers) contains billions of select microorganisms per gram in combination with proprietary microbial support constituents, carbon-platelets, buffers and essential sea salt to promote a healthy pond environment. Contains no messy fillers. A 100% active and 100% water soluble bio formulation designed specifically for pond water. 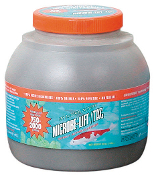 * Can be used with other Microbe-Lift Products. * Promotes clean, clear, odor-free ponds. 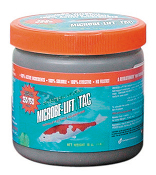 Microbe-lift/TAC (Totally Active Clarifiers) is formulated specifically to promote clear, clean pond water by developing highly active microbial populations and eliminate all organic waste matter from your pond system.